Do you belong to a choir? 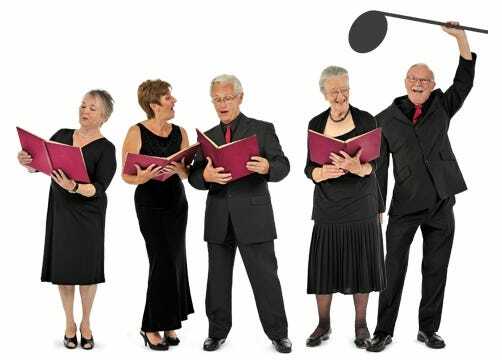 RVS, our charity of the year, are asking singing groups around the UK to put on a concert and raise money to help vulnerable, older people. Do you belong to a choir? Royal Voluntary Service are asking singing groups around the UK to put on a concert in aid of their charity. By selling tickets and raising money on the night, you won’t just be spreading joy, you’ll be helping to transform lives. It doesn’t matter what you sing, or how loud you sing it. Just as long as you sing your hearts out. All you have to do is pick a date, gather your choir and invite friends and family to come along. Every month Royal Voluntary Service, our charity of the year, helps 10,000 vulnerable and isolated older people stay independent in their homes and lead fulfilled lives. So sing it loud and proud and reach out to them!